Shake the watermelon juice, tequila, lime juice, cointreau and agave nectar with ice in a Boston Shaker. Strain into a Kramer Glass. Garnish with a lime wheel. 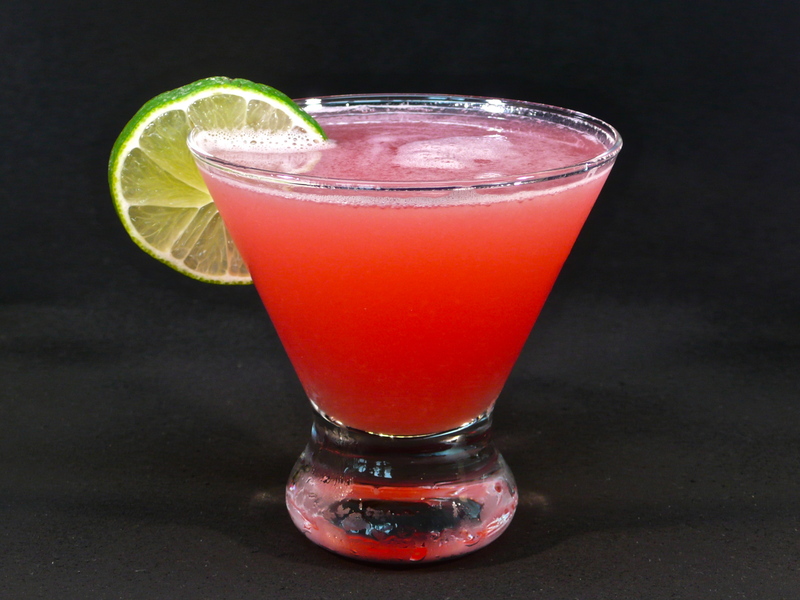 This margarita is perfect for any summer party! 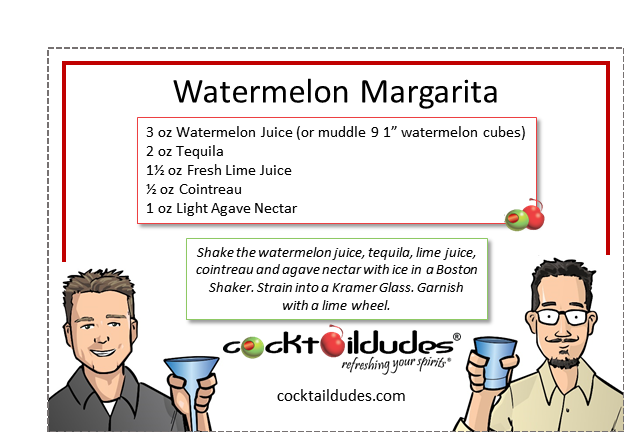 Make it as a single serving drink or – even better – for many in the watermelon tap. What is that? It is your guide to the fun zone, Senor Sandia. Put the party on cruise control while the green skinned wonder will have your guests self serving their way to a fiesta of fun. Olé!